This new white-only LED bulb changes color with a flip of the switch instead of an app on your phone. 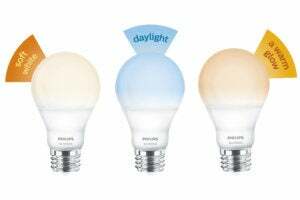 You can’t program Philips latest LED light bulb, but you can easily change the color it produces—and you won’t even need to whip out your smartphone. The SceneSwitch is a 60-watt-equivalent, white-only LED bulb that’s capable of producing three color temperatures at the flip of a switch: Turn the bulb on and you get 800 lumens of moderately soft 2700K light. Turn it off, then on again, and the bulb delivers 800 lumens but at a quite cold 5000K color temperature. Turn it off and on a third time and the bulb dims to 80 lumens of very warm 2200K light. The SceneSwitch doesn’t work with a smartphone app, but as anyone who’s spent a long time fiddling with smart lighting knows, sometimes these apps are overkill. Once in a while you just want to flip a switch and have the lights come on. 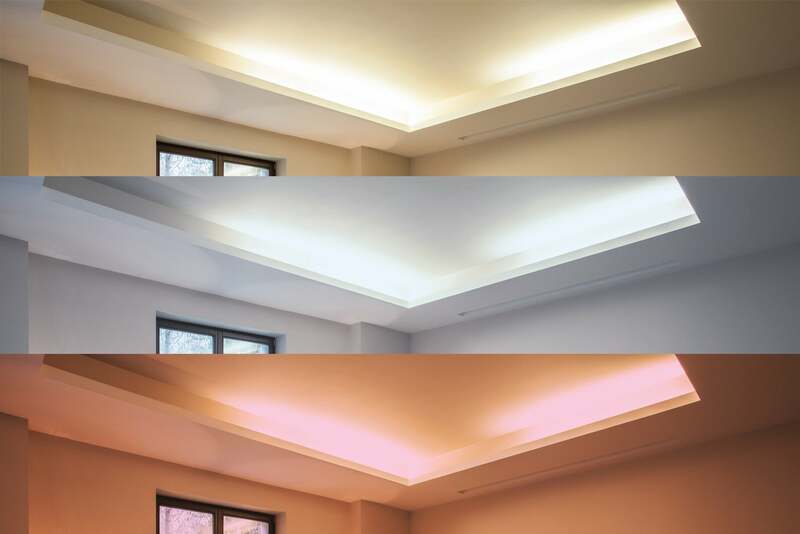 Philips provided three photos of the same room illuminated with soft white light (top), daylight (middle), and warm glow (bottom). And the SceneSwitch certainly does a good job at that. 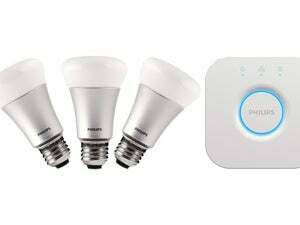 Much like a three-way light bulb that goes from bright to brighter to brightest every time you twist the lamp switch, the SceneSwitch jams three different bulbs into a single socket. Only this time, those bulbs are distinctly, uniquely different. I expect the first setting, 800 lumens at 2700K, will get the hardest workout. It’s warm but not too amber-hued, and it works well as a utility bulb any time of day. The 5000K of the second setting is a true office-bulb setting, and users who need a genuine task lighting setup will find it helpful. I was least enamored of the final setting. At just 80 lumens it’s practically a nightlight, something to have on while you’re watching TV so you don’t trip over the couch on your way to the kitchen, but really nothing more than that. Three modes, one light bulb. If you’re thinking that every time you turn this bulb on you’ll have to cycle through the four settings to get back to the one you want, there’s good news. 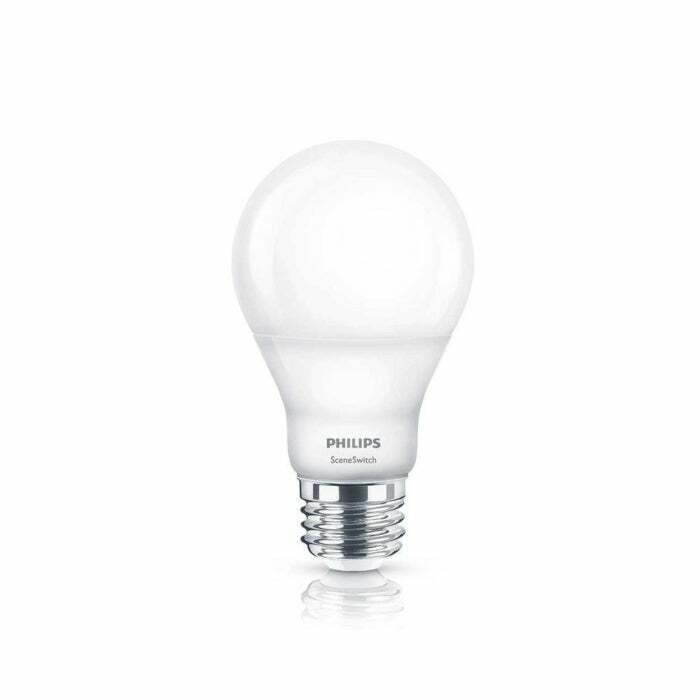 Philips has thought of this and added enough nonvolatile memory so that if the bulb is turned off for more than six seconds, when you turn it back on it won’t switch to the next setting but will rather return to the most recently used one. In other words, if you have the light turned on to the 2700K setting, turn it off overnight, then turn it back on the next day, it’ll still be set to 2700K rather than advancing to 5000K. The only way to change the temperature setting is to turn it off and on again within a few seconds, which isn’t really a problem. That said, if you’re a tweaker that wants to switch among multiple temperatures throughout the day—or who wants greater control over the temperatures offered—this isn’t the bulb for you. However, at a bargain-basement sub-$10 price tag (including a 10-year warranty and an estimated 13.7-year lifespan), it’s hard not to recommend. This starter LED bulb comes across as “tunable-light lite” by requiring manual steps to switch color temperature, but it surprisingly serves more needs than you’d think, and looks good doing it.